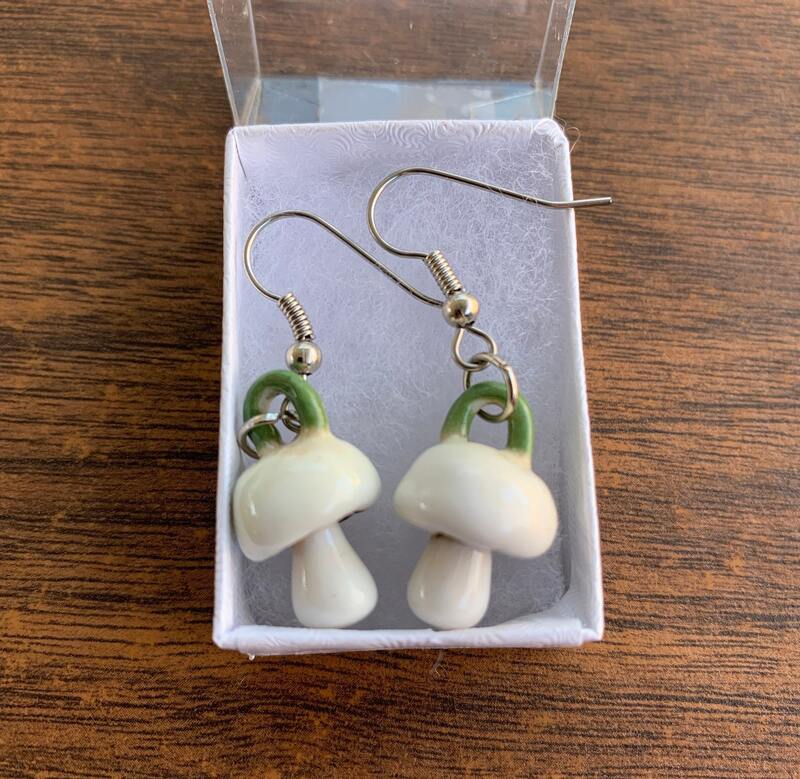 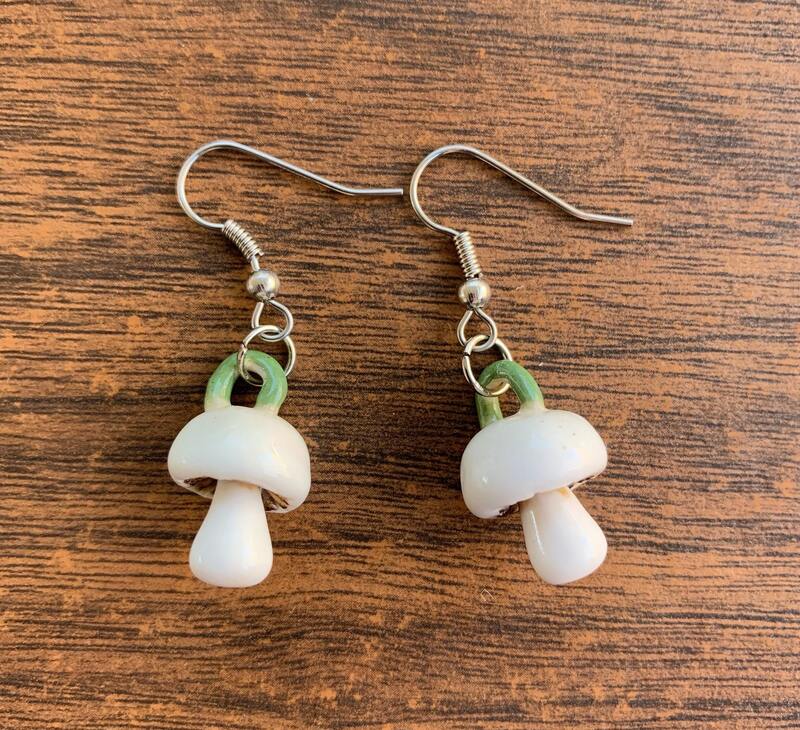 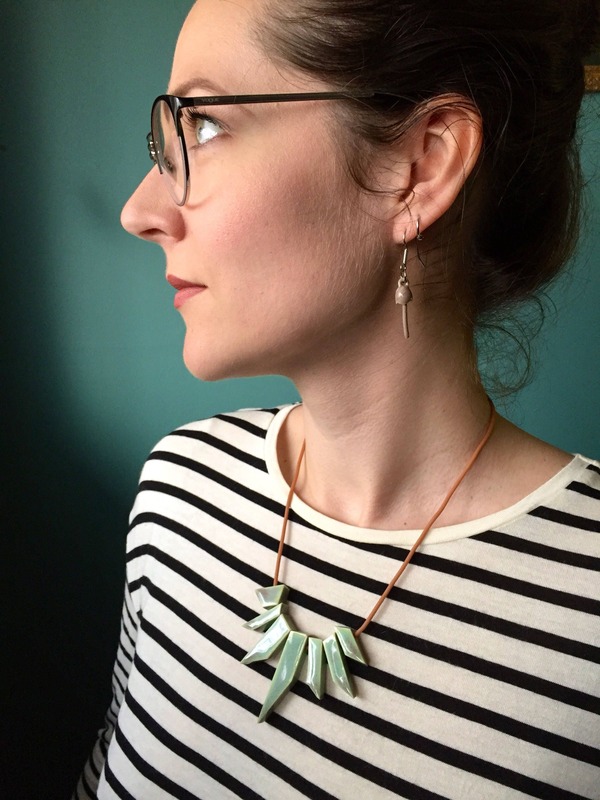 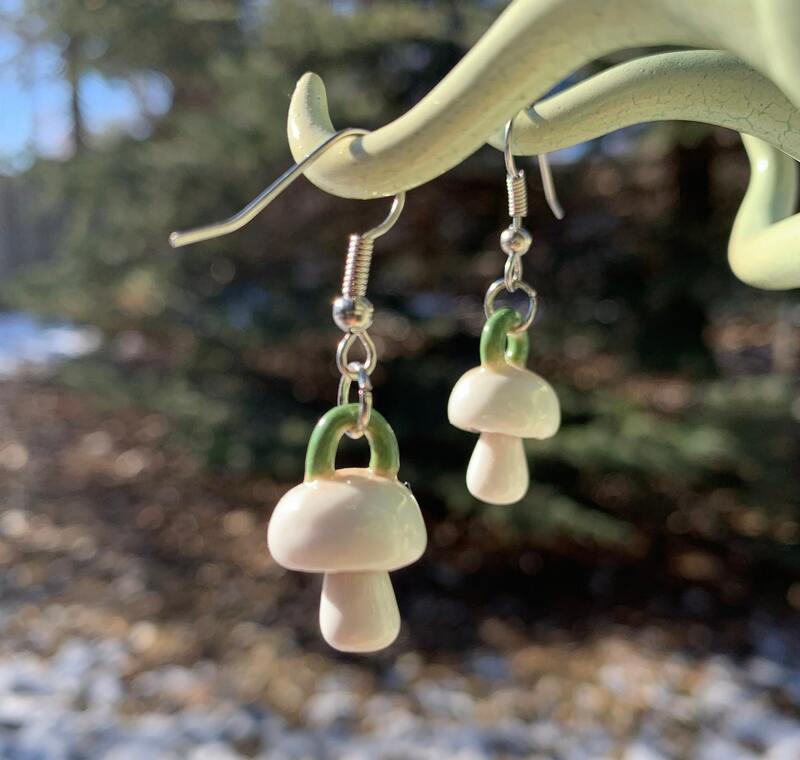 This is a pair of hand built porcelain button mushroom earrings, glazed in a glossy dirty white on the mushroom, amber brown on the gills, and a lime green glaze on the top loop/worm. 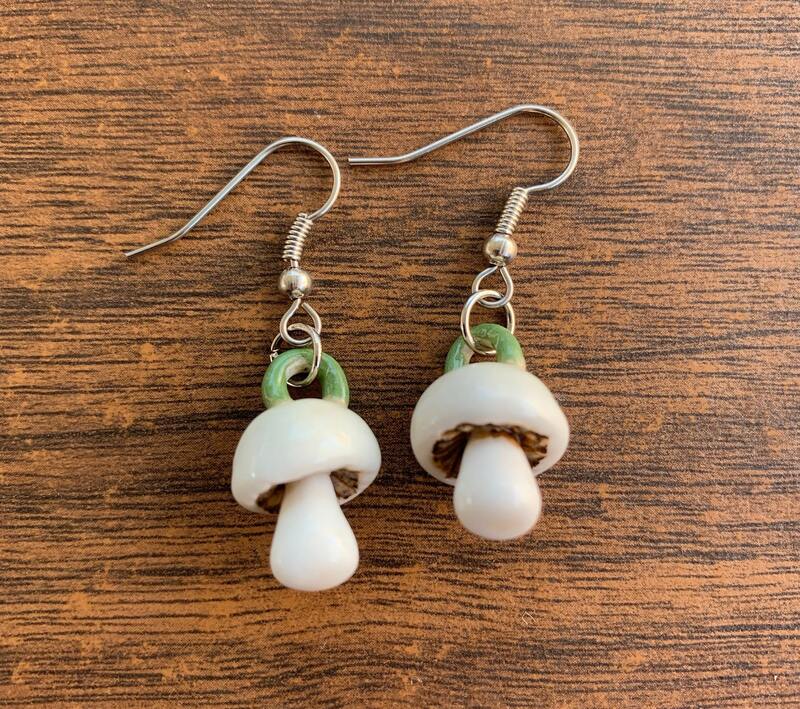 The dangles are surgical stainless steel. 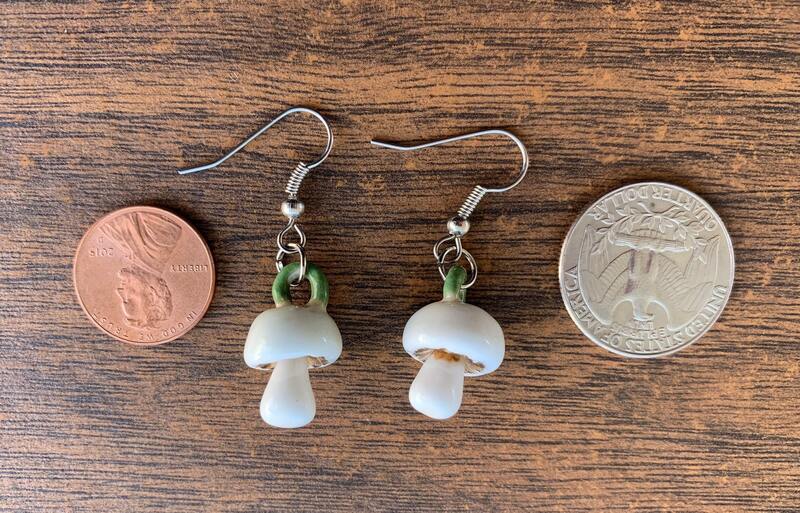 The ceramic portion of each earring measures approximately 3/4 inches tall and just under 1/2 inches wide.